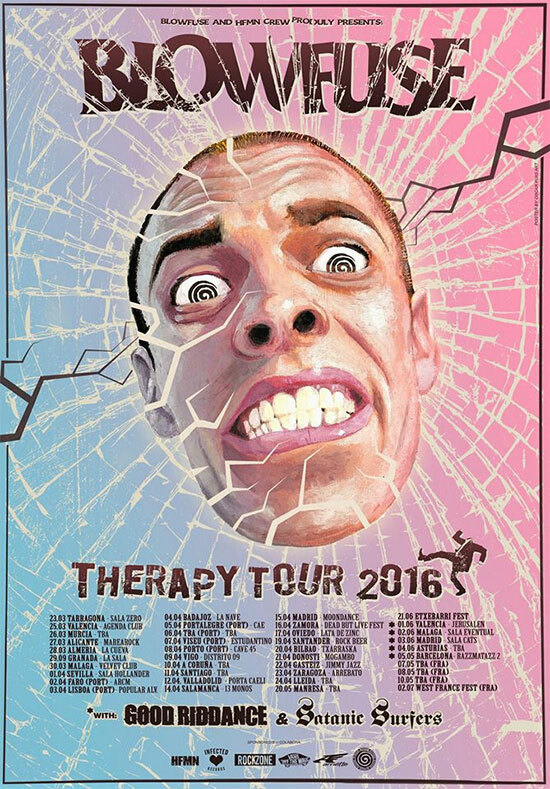 Blowfuse presents the 'Therapy Tour 2016'. This tour includes dates in Spain, Portugal and parts of Europe, starting this next March 23th. There are still dates to be confirmed among some surprises that will be announced soon. This tour includes certain dates with Good Riddance and Satanic Surfers! You can join the event right here.